At Cordisco & Saile, we focus on personal injury cases including SLIP AND FALL. We win major verdicts and settlements that gets you the money you need to pay your bills, get the treatment to recover, and compensate for the many ways your accident has turned your life upside down. We want to help you achieve the financial and emotional security you deserve after a serious accident. That’s why in our 30 years of practicing personal injury law mediocrity has never been an option. And that’s why we never stop fighting for our clients. No Obligation. No Fee Until YOU WIN. 100% Confidential. This slip and fall accident took place at a local New Jersey movie theater. Our client’s legs went out from under her when her foot encountered a greasy substance on the floor as she was getting to her seat. In an effort to regain her balance, her head jerked back and her buttocks hit the hard floor of the movie theater. Her permanent injuries included L5 radiculopathy, herniated disc at L5-S1, neurogenic bladder (voiding dysfunction), cervical sprain and strain, lower extremity neuropathic disease, and anxiety with depression. Our client underwent several surgical procedures as a result of her fall and lives with a permanent dorsal column stimulator implanted in her lower back. After extensive litigation was completed, our client recovered $275,000 at Mediation. Hey guys. It's Mike Missanelli here to tell you about my lifelong friend John Cordisco from Cordisco & Saile personal injury lawyers. John and I grew up together in Bristol, PA. As kids, we were always competing against one another—in little league baseball, basketball, you name it. John always had the drive and competitive spirit to be the best. Just how we used to compete and fight growing up in sports, you have my word that John and his team at Cordisco & Saile will fight for you too. If you've been seriously hurt on the job, in an auto accident, or a loved one has experienced nursing home neglect—that is when people need a personal injury lawyer the most! They serve all of southeastern Pennsylvania and South Jersey. Trust me, my buddy John Cordisco and his team won't just settle, he will fight, win and get you what you deserve and you won’t pay any fees until he wins! So if you need someone with the fighting spirit of Philadelphia to compete, fight and win for you, call John Cordisco and his team of fighters today at 215-791-8911 and be sure to tell them that Mikey Miss sent you! 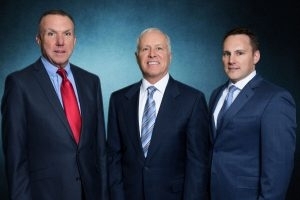 PA and NJ Accident Law Firm who focuses on personal injury cases that win major verdicts and settlements. 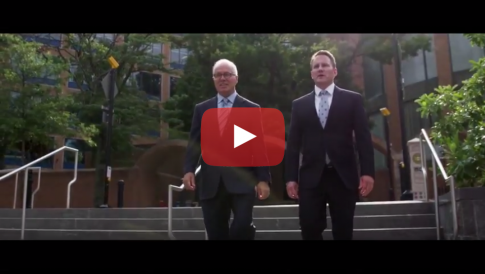 The Personal Injury Law Firm Who Fights for Accident Victims! You have the right to be compensated for the physical, financial, and emotional impact after a devastating accident. Cordisco & Saile has over three decades of experience representing accident victims in Pennsylvania and New Jersey. 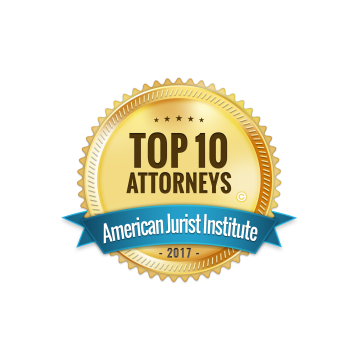 Our experienced and skilled personal injury attorneys excel in accident injury law and the reason why we win significant settlements for our clients. We take the toughe cases that other lawyers refuse to take. We will fight to recover compensation for your medical bills, pain and suffering, lost wages, and other damages. Contact us or call today 215-642-2335 for a free case evaluation. We have a no-fee promise—we only receive a fee after we win your accident claim. Cordisco & Saile also represents Union Members in New Jersey and Pennsylvania. In this book by attorney Michael Saile, Don’t Crash Again! A Car Accident Victim’s Guide to Maximizing Recovery he will answer some of the many questions that you have. Thank you Attorney Cordisco, Meryl and Barb for going above and beyond to get results that far exceeded what I thought I would recover from my accident. You were always courteous, professional, responsible and easy to talk and understand and keeping in touch with me throughout the process. I highly recommend Cordisco and Saile law office for your future needs. Mike and his staff- Barb and Michelle are top notch. They are very responsive and listen to your issues. Mike will fight very hard and get you the best possible outcome to your case. Communication is great and you will always be kept in the loop as to your case status. I rate them 5 stars. Use their firm. You will not be disappointed. Serious injuries cases can greatly range in scope and circumstance and personal injury attorney John F. Cordisco is prepared to use his experience to aid clients who have been injured in any way. 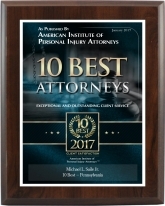 John, accident lawyer Michael Saile, and his team of accident attorneys file personal injury claims to recover compensation for parties who have been injured through no fault of their own. © 2018 Cordisco & Saile LLC, All Rights Reserved.